This installation, a past entry in the annual cutting-edge garden festival at Reford Gardens in Quebec cannily illustrates 2017 Trends #8 and #9. Shot in August, 2014. 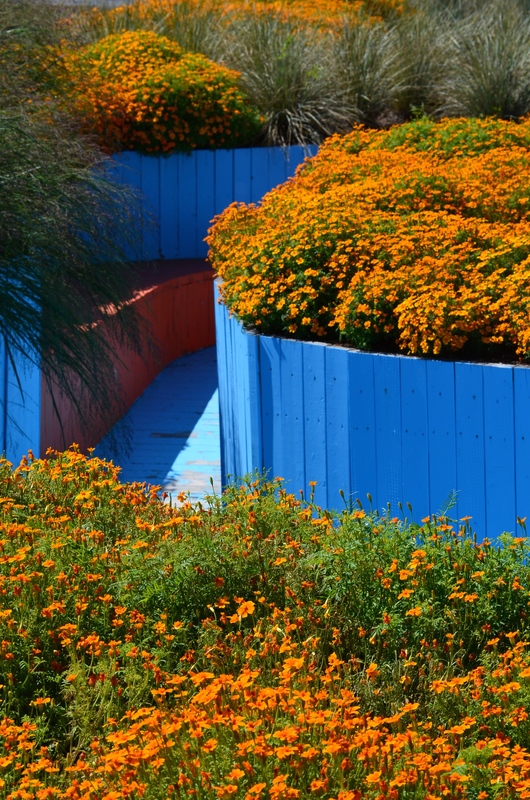 I don’t normally associate gardens with hotbeds of revolution but a lot of researchers, journalists and horticulture pros believe that the way people garden is radically changing–some might say in wonderful ways, others might say in ways that are a tad odd. Which of these 10 gardening trends for 2017 might change how you garden? TREND #1: GROWING CROPS IN YOUR KITCHEN WITH “FARM CUBES” Last year, we (ok, Americans) spent more money growing veggies than flowers so it’s no surprise that harvesting edibles is still a huge trend. But this year, it’s predicted that more of us will be harvesting our food crops indoors. And it isn’t because of a lack of space, that persistent challenge of any apartment dweller, or the opportunity to plant and harvest year-round, whether we live in Florida or Yellowknife. No, it’s all about control. According to the Garden Media Group‘s (GMG) 2017 Garden Trends Report, controlling the quality of the water we use, our growing mediums and even the atmosphere are top of mind. No worries about pollution or pests when you’re planting and harvesting inside your own home! And exactly how are you going to grow these indoor crops? Sure, you could stick to the conventional method–a row of pots filled with soil on a window ledge. But that’s so very last year. Grow kits–compact, efficient and bristling with smart technology–let you start your very own (albeit teeny tiny) farm anywhere in your home. How about a hydroponic “farm cube” you control using your tablet via iCloud. (I’m not making this up.) Or you can put your pet goldfish to work supplying water, rich in nutrients (aka fish poop), using a home aquaponics kit. Growing your own “medicine” (from herbal teas to cannabis) is predicted to be big this year. Growing dope, in particular, has just gotten easier thanks to a surprising new product entry from none other than Scotts Mircale-Gro. Yup, the fertilizer giant recently (2016) introduced Black Magic, a new compost specifically developed for growing marijuana. Exotic veggies (bok choy, mushrooms) and tiny superfoods (nutrient-dense microgreens like baby spinach leaves) not only fit into everyone’s foodie fantasy but they’re conveniently diminutive, too. Growing ingredients for beer and cocktails is fast becoming a thing, thanks to the fact that “five million of the six million ‘new’ gardening households [in the United States] were Millennials” according to GardenResearch.com‘s 2016 National Gardening Report. That means a whole lot of 18 to 34 year olds are starting new gardens and GMG suggests that they’ll be mixing in drink makings along with the tomatoes and radishes in their brand-new veggie beds. Growing a natural dye garden is another new trend according to Garden Design magazine’s 2017 trend report. If you want the most bang for your plant buck, try a bed of plants that do double duty as food and natural dyes: rhubarb, yellow onions, blackberries, and red cabbage have been popular sources of natural dyes for hundreds of years. 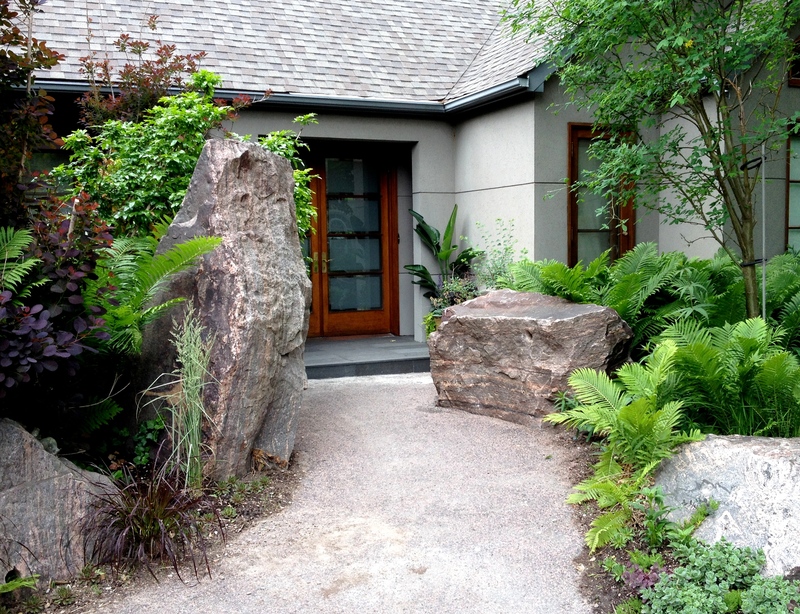 The entrance area to this home in the centre of Toronto, ON, is a bold example of Extreme Naturalism, Trend #3. TREND #3: EXTREME NATURALISM North American plant brand Monrovia predicts a fascination with in-your-face/in-the-raw elements. Really big boulders and rocks will replace last year’s trend in gardens that mimic meadows. Hedges, those workhorses of garden structure, will lend an unexpected hand. They’ll still add privacy and help create outdoor garden “rooms” but they’ll also add to the underlying extremeness of the new naturalism by going wildly shaggy. Gardeners, if you want to be on trend, prepare to stash your hedge trimmers. TREND #4: CHANGING HOW YOUR GARDEN SOUNDS You’ve read in past posts from this blog about how you can grow a cooler backyard using trees–nature’s own air conditioning units–and how the practice of forest bathing takes advantage of the calming effect trees have on humans. Now trees are in the spotlight again as the heroes in soundscaping. Essentially, this is a new approach to garden design (particularly for public green spaces and parks) that capitalizes on how trees buffer urban noises and increase natural sounds (birdsong, leaves rustling in a breeze) in order to create an environment for happier, healthier humans. Water features are also a big help in orchestrating an enhanced garden soundscape. TREND #5: GOING FOR GOLDS Both the Garden Media Group and Monrovia have declared that the colour gold is about to have its moment in the sun, quite literally. Trees, shrubs and herbaceous perennials in tones of the precious metal will be hot, hot, hot this year. Monrovia reports that conifers that change colour when it turns cold are selling out so expect trees and shrubs that provide winter interest with glowing golden foliage to go quickly as the gardening season heats up. Nepeta faassenii ‘Cats Meow’ catmint is a good alternative for Trend #6. TREND #6: GETTING TO KNOW YOUR BATS BETTER Now that the Zika virus is becoming a real threat to most North Americans, interest in how to combat mosquitoes is reaching an all-time high. Gardeners may be leading the forefront in fighting back naturally. It’s predicted that many of us will be rolling out the welcome mat for bats, renowned bug eaters (including mosquitoes) as well as pollinators. If having bats as neighbours doesn’t appeal, attracting birds–also enthusiastic mosquito eaters–is another good option. Simply install some bird feeders and bird houses in your backyard. Although the science is still out on whether some herbs are effective mosquito repellers or not, there is one plant that really does help thanks to its chemical makeup–catnip. 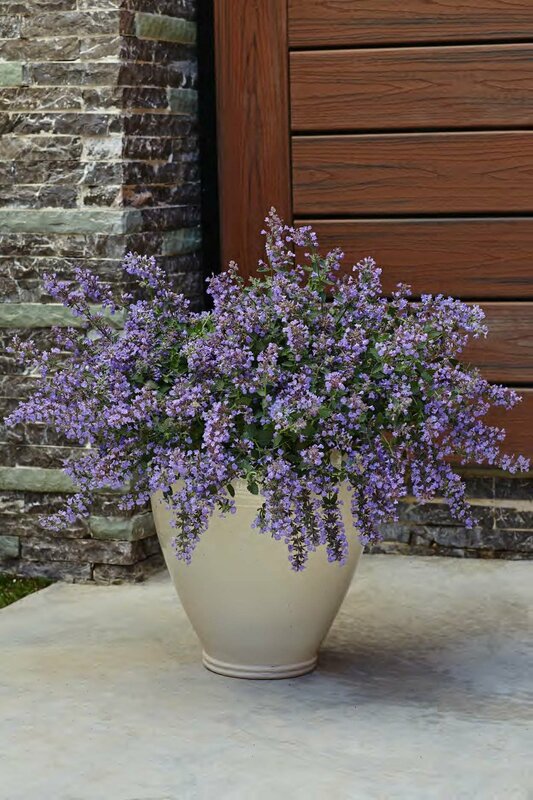 Check out my post “The buzz on catnip” for a very effective insect repelling container planting that also looks great. TREND #7: THE UBER-IZATION OF YOUR GARDEN Why go to a garden centre when the garden centre can come to you? That’s the rationale behind garden subscription services and the reason why GMG predicts this is going to be a big trend. But is it a trend destined to die fast (as gardeners loyal to in-person purchasing would guess)? Why wouldn’t you take advantage of services like the Seeds Of The Month Club by Mike the Gardener which offers a variety of non-GMO “heirloom variety vegetable, fruit and/or herb seeds delivered right to your home” (in the U.S. and Canada) every month. I’m still partial to visiting a garden centre to peruse the stacks of seed packets myself. I figure that’s half the fun. However, just this month (February, 2017), GreenhouseGrower.com reported that Amazon is getting into the plant retail business. When Amazon weighs into a niche drop ship market, you know it’s officially a thing. How this mega company plans to deliver multitudes of live plants is anybody’s guess but, in the mean time, expect to see more garden centres near you offering amped up websites and ordering and delivery services. 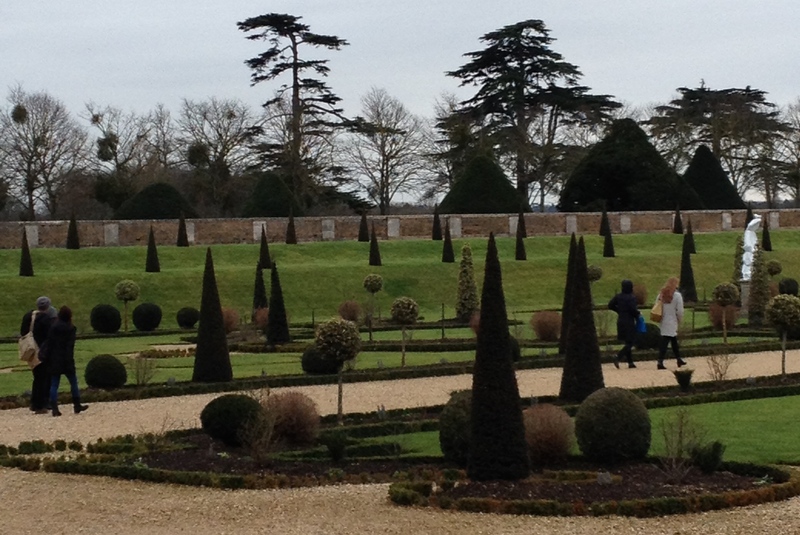 Chilled but undaunted tourists walk briskly through one of the gardens at Hampton Court Palace, England. Shot in February, 2015. TREND #8: EXPLORING FLORATOURISM If you’re planning to escape your work cubicle with a holiday that includes a visit to a park or botanical garden, Monrovia reports that you’ll be one of many showing “record-breaking interest in visiting green spaces to rejuvenate and connect with nature.” That desire may also have something to do with the fact that last year Airbnb announced that it’s most desired accommodation in the world was a treehouse. Garden designers, landscapers and city workers were asked to flag their favourite plants in the Landscape Ontario trial gardens. 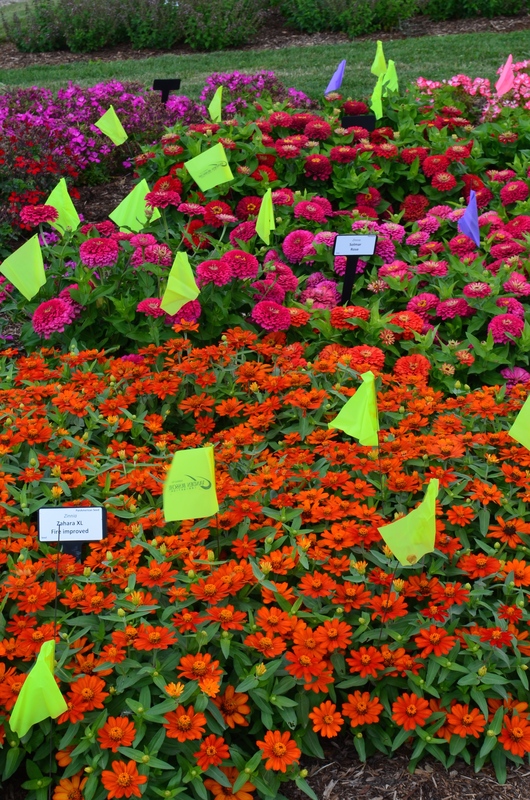 Who knew zinnias would be so popular with the pros? TREND #9: LIGHTING UP THE GARDEN WITH BRIGHTS Both Monrovia and Proven Winners, another well known North American plant brand, have their bets on eye-searing plants topping gardeners’ wish lists this spring. They’re looking at last year’s spring plant trials as evidence. Pale-coloured flowers will always have a place in the garden but it’s the brights that are going to steal the show this year (2017). I must admit I saw the same thing at last year’s Landscape Ontario trial garden open-house when garden media and pros were asked to pick their favourite plants. Brilliantly coloured zinnias in the hottest shades of red and pink won by a landslide. TREND #10: FINDING PLANTS FOR A WARMER CLIMATE Despite what some politicos think, gardeners worth their potting soil know full well that climate change is real. Even if you didn’t notice your garden zone officially change (my garden in southern Ontario went from 5b to 6b), you can’t help but notice how dramatic swings in temperature and amount of precipitation have made deciding on new plants more challenging than ever. 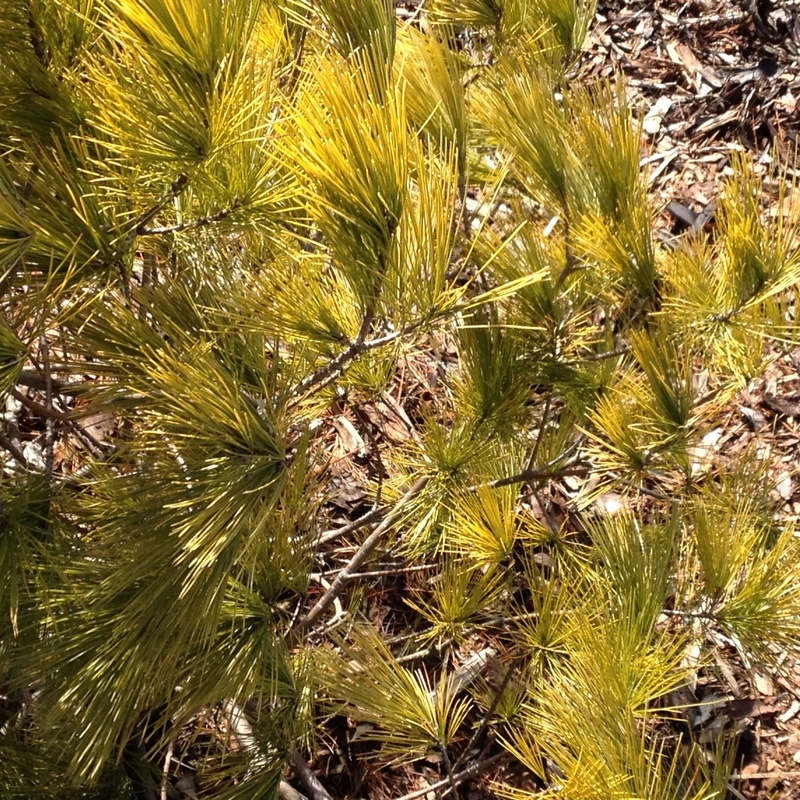 Some plants once considered tender in your part of the world may be doing much better at weathering the local winter. And other plants long associated with your region may start to struggle. As gardeners we want to see all plants–natives and ornamentals, in our gardens and in the wild–continue to thrive. Hopefully, the biggest trend of all will be to work in partnership with nature (practicing water conservation, for instance) rather than trying to control nature with pesticides, fertilizers and an abundance of the wrong plants in the wrong places. That’s a trend I’d like to see continue growing for many, many years to come. Such an informative and interesting post. Thanks for all the insight can effort it went into posting this. I appreciate your support. I had fun researching this post but it did make me pause to think about where gardening and life is heading. Interesting times we live in. Terrific post! We found a little bat clinging to our house wall a couple of days ago, and it made me so happy – there’s been so much development in our area that I’ll take a bat as a sign that not all is lost. As for the farm cubes and Cloud installations, I always wonder where these plastic wonders will end up in the next 2-5 years, and just how long it takes to amortize them in terms of lettuce heads. Those are some pretty pricey greens being grown there. And plastic comes with its own long lifespan that usually long outlives the trend it fulfilled. Really enjoyable post, thank you! Thanks so much. And what a terrific point you’ve made. You’re absolutely right. Those cubes seem destined to have only a short period of usefulness and desirability. So glad to hear you have a bat. May he/she bring many more!. Thanks. Lots of fun doing the research. I found myself thinking about approaching gardening differently in some ways.